There are several signs and symptoms of a Klonopin overdose to look for, and there are steps you can take to get emergency help. If you take Klonopin, it is also important to know how to avoid an overdose. 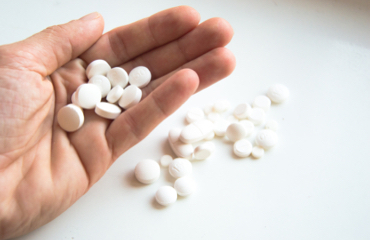 A person can overdose on Klonopin if they take more than the recommended dose. Ataxia (loss of control of body movements). The seriousness of the symptoms will be affected by how much the person took, their age, their health, and whether they consumed other drugs, especially central nervous system depressants such as alcohol, barbiturates, or other sedative-hypnotic medications. Although some people overdose on Klonopin on purpose, many overdose unintentionally. When a person takes Klonopin or other benzodiazepines regularly, he or she may build up a tolerance to them.4 Tolerance means that your body gets used to the presence of the drug, and you need to take more and more of it to keep feeling the effects. When a person starts taking more of a drug than prescribed, they may accidentally take more than their body can handle, and they can overdose. If someone is abusing the drug without a prescription to get high, they may take large amounts of the drug with no understanding of how much their system can safely process, and overdose. How much Klonopin the person took. The person’s overall condition, including color of lips, skin, and nails. Whether or not they took any other drugs. The person’s age, weight, and medical history. Placing a patient on a ventilator to assist with breathing if needed. Administering a drug called flumazenil to reverse the effects of Klonopin. 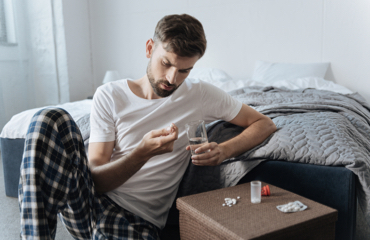 Anytime a person overdoses on any substance, including Klonopin, it is a sign that he or she needs assessment for possible drug abuse treatment. Do not downplay a Klonopin overdose as a one-time accident, such as accidentally taking an extra dose of Klonopin because you or your loved one “forgot” about taking Klonopin earlier. If you or someone you love has overdosed, or you are afraid an overdose may occur, get help. 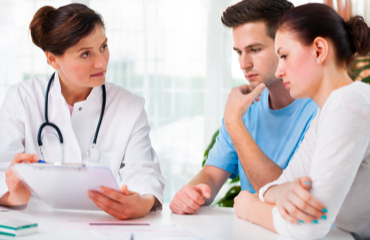 If your doctor determines that you need treatment for Klonopin abuse and addiction, you will usually need to go through a detox program to safely withdraw from Klonopin. Quitting the medication abruptly when you are physically dependent on it can lead to seizures and other medical complications.8 Following detox, treatment for drug abuse can help you to stop using Klonopin for good. Only take Klonopin with a doctor’s prescription. Do not take a prescription written for someone else. Do not take more Klonopin that the doctor prescribed for you. Do not use Klonopin in ways not prescribed, such as by injecting it. Do not mix Klonopin with alcohol or any over-the-counter or prescription drugs without getting the approval of your doctor or pharmacist.
. U.S. National Library of Medicine. (2017). Clonazepam.
. Bachhuber, M. A., Hennessy, S., Cunningham, C. O., & Starrels, J. L. (2016). Increasing benzodiazepine prescriptions and overdose mortality in the United States, 1996–2013. Journal Information, 106(4).
. Queensland Government Department of Health (2017). Clinical practice guidelines: Toxicology and toxinology/Benzodiazepine.
. National Institute on Drug Abuse (2011). Commonly abused prescription drugs.
. U.S. National Library of Medicine. (2017). Drug use first aid.
. British Journal of Medicine: Best Practice (2016). Benzodiazepine overdose.
. Substance Abuse and Mental Health Services Administration (2006). Detoxification and substance abuse treatment: Chapter 4: Physical detoxification services for withdrawal from specific substances.